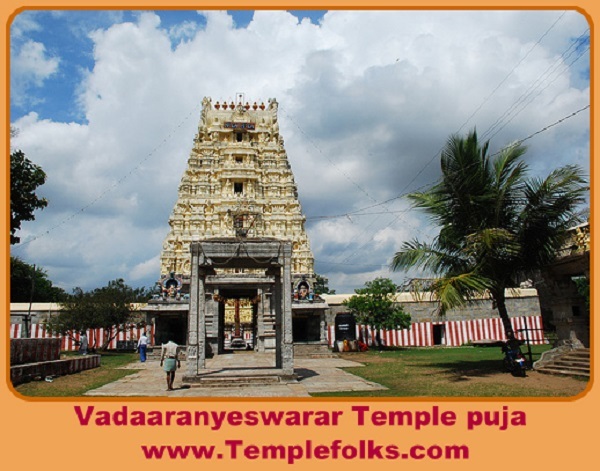 VadaAranyeswarar temple is the Hindu temple which is dedicated to lord Shiva. VadaAranyeswarar temple is at Tiruvalangadu. This place was once a forest of Banyan trees and hence the name Tiruvalangadu (Tiru + Alam + kadu). Tiru means holy, Alam is Banyan and kadu means forest. Lord shiva is a swayambumurthy here, facing towards east. Vandar Kuzhali Amman (Consort of Shiva) is in separate shrine facing towards south. The theertham is Mukthi theertham and the sthala Vruksham is Alamaram or Banyan tree. This is the temple to be worshipped by people under Bharani Nakshatra regularly. By doing so they would lead a peaceful and happy life. It is even better if they visit this temple on the day of Bharani Nakshatra. It is recommended to do the parihara puja on Saturdays since Mandhi is the son of Saneeswaran who is the Lord of Saturdays. You can perform the puja to get rid of the malefic effects of Ashtama sani, Ardhasthtama Sani and janma sani. It also gets rid of the malefic effects of Mandhi present in the wrong place of the person?s horoscope. The parihara puja is also believed to remove marriage obstacles. Childless will be blessed with progeny, improvement of financial status and students will do well in their academics.